Oh joy! I'm tagging along as my husband is going to London for a meeting. Since we are there on a Friday why not spend the weekend? London can be stressfull if relaxing is an issue, so we will head for lovely Cotswolds! 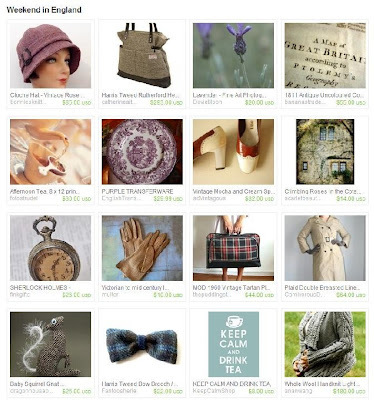 Being excited about the trip I put together a treasury on Etsy. Share my joy! Click the treasury to see the original on Etsy and get access to all the wonderful shops. Gorgeous!! Have a great time!